Katherine Hunka has been Leader of the Irish Chamber Orchestra since 2002. She regularly directs the ensemble from the violin as well as performing as soloist across a wide range of repertoire. She has shared the concert platform with ICO guest artists, performing concertos and chamber music with Jörg Widmann, Pekka Kuusisto, and Nigel Kennedy among others. She is a frequent performer at the West Cork Chamber Music Festival as a chamber musician and director and for years was part of a dynamic duo with Irish accordionist Dermot Dunne. Together they toured the length and breadth of Ireland, China and Singapore. They have now become the Far Flung trio with bassist Malchy Robinson and perform anything from Bach to Tango. Katherine has been a guest leader with many groups including the Manchester Camerata, and the Scottish Chamber Orchestra and has performed as soloist with the National Symphony Orchestra of Ireland and RTE Concert Orchestra. Dublin born Aoife Nic Athlaoich enjoys a versatile musical career equally at home playing on period instruments as performing newly commissioned works. She has collaborated with Jazz musicians and contemporary dance groups, as well as playing under the baton as such eminent conductors as Sir John Elliot Gardiner, Sir Colin Davis and Bernard Haitink as an orchestral musician. Aoife gained scholarships for her studies at the Royal Irish Academy of Music and at the Royal College of Music, London where she studied with Melissa Phelps. Aoife is a member of the Irish Chamber Orchestra and Orchestre Révolutionnaire et Romantique and plays on a cello made by Joseph Hill in London 1771. Mark came to Ireland in 1992 and has held several major posts in the country, including organist and director of music at Christ Church Cathedral Dublin, chorusmaster to the RTÉ Philharmonic Choir and artistic director of the Irish Baroque Orchestra. As conductor and organist he has appeared with most of the major Irish ensembles, including RTÉ National Symphony Orchestra, RTÉ Concert Orchestra, the National Chamber Choir, the Irish Baroque Orchestra, Opera Theatre Company, Orchestra of St Cecilia, and his own chamber choir Resurgam. He has performed at many of Ireland’s premiere festivals, including the Wexford Opera Festival, the Cork International Choral Festival, the Kilkenny Arts Festival and the East Cork Early Music Festival. Mark is one of Ireland’s most well-known choral specialists, and has led workshops and masterclasses for choirs and conductors in Ireland, the UK, and continental Europe. Aside from a busy freelance career, Mark holds the posts of Pipeworks artistic director, organist of the Collegiate Church of St Nicholas, Galway, and founder-director of St Nicholas Schola Cantorum. Since winning first prize at both the 1983 Pozzoli and 1984 Paloma O’Shea piano competitions in Italy and Spain, Hugh Tinney has performed in more than 35 countries throughout Europe, the USA, Latin America and the Far East. A prize in the 1987 Leeds Piano Competition earned him a busy career in Great Britain performing with many major orchestras including the London Philharmonic, Royal Philharmonic, Philharmonia, Royal Scottish and BBC National of Wales. He has made a major contribution to Irish concert life for over 30 years, including multiple solo recital series, chamber music series, and regular concerto performances with the RTE National Symphony Orchestra. He has collaborated with the Borodin, Tokyo, RTÉ Vanbrugh, Vogler and RTÉ Con Tempo Quartets, Ensemble Wien, Steven Isserlis, Julian Rachlin, Jörg Widmann, Catherine Leonard, the Chieftains and the late Bernadette Greevy. In 2012 to 2014, he toured China several times with the Academy Chamber Ensemble. He has recorded solo, chamber and concerto repertoire for Decca, Naxos, RTÉ lyric fm and several other CD labels. From 2000 to 2006 Hugh Tinney was Artistic Director of the Music in Great Irish Houses festival. He has taught at the Royal Irish Academy of Music since 1995 and has been a jury member at several international piano competitions. He was awarded an Honorary Doctorate in Music by the National University of Ireland in 2007. Hugh Murray, Christine Kenny (violins), David Kenny (viola), Maria O’Connor (cello). The Chiral Quartet was formed in 2011 by students of the CIT Cork School of Music, where they studied with members of the Vanbrugh Quartet. They took part in the West Cork Chamber Music Festival’s young musicians platform in both the 2011 and 2013 seasons, receiving master classes from members of the Auryn, Casals, Danel, Diotima, Kelemen and Pacifica quartets. The Chiral Quartet was broadcast on RTÉ Radio 1 as part of the West Cork Literary Festival, and on RTÉ lyric fm in November 2011. Other highlights include winning the Cork School of Music’s annual Vanbrugh Chamber Music Competition, and two appearances at the RDS Rising Stars Series. The quartet frequently performs contemporary works by Irish composers, including Conal Ryan, Solfa Carlile, Raymond Deane and John Gibson. In 2012, the Chiral Quartet was chosen as the winner of the nationwide 'Strings Attached' competition, organised by Music in Drumcliffe, the RIAM and Artscope. They were privileged to study regularly with the Vogler Quartet, take part in the 2013 Music in Drumcliffe Festival, (including a performance of the first movement of Schumann’s Piano Quintet with Finghin Collins), attend the Jeunesse Musicale Deutschland International Chamber Music Campus in Weikerscheim, and travel to Leipzig for further study with Prof. Frank Reinecke. The quartet are the 2014 winners of the KBC Great Music in Irish Houses residency programme, which includes a bursary and concert series for the coming year. 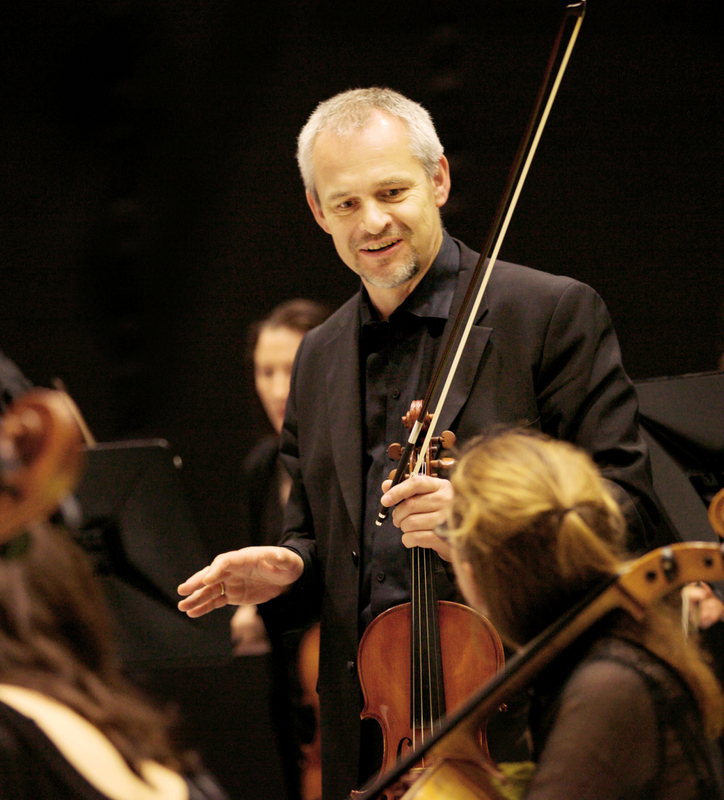 The Chiral Quartet, together with Barry Douglas (piano), Alex Petcu-Colan (percussion), and the vocal ensemble Madrigal '75, are Artists-in-Residence to the CIT Cork School of Music. Sarah McMahon began her cello studies with Nora Gilleece at the Royal Irish Academy of Music in Dublin in 1987. In 1995 she moved to London where she studied at the Royal Academy of Music with David Strange, Jenny Ward­-Clarke and Colin Carr, graduating in 2001 with a first class B Mus degree and a Dip RAM distinction. Sarah is a passionate chamber musician and a founder member of the Callino String Quartet. They have a busy performing schedule, touring widely throughout Europe, performing at numerous festivals and collaborating with diverse artists such as Barry Douglas, Belcea Quartet, Edgar Meyer, rock band Arcade Fire and John Abercrombie. They have recently recorded Haydn's Seven Last Words which will shortly be released on the Coro label. In addition to her work with the Quartet, Sarah is deeply committed to historical performance and is the principal cellist with the Irish Baroque Orchestra, Academy of Ancient Music and Camerata Kilkenny. She is also regularly invited to play as guest principal cellist with Arcangelo, the Orchestra of the Age of Enlightenment, Scottish Chamber Orchestra and the Aurora orchestra. When she's not busy travelling around and playing the cello, Sarah can usually be found pottering around on her allotment. Sarah McMahon gratefully acknowledges the support of The Arts Council and Music Network through the Music Capital Scheme 2009. Hugh Buckley may be among the more unassuming guitarists on the Irish scene, but his resumé of international associations speaks volumes for the esteem in which he's held elsewhere. This engaging and creative soloist has worked with Georgie Fame, Peter Bernstein, Scott Hamilton, Peter Washington and his late and dear friend, pianist James Williams. Soul and gospel nuances are increasingly to the fore and for this outing, he unveils new material and new personnel, performed by a talented quintet with Michael Buckley (tenor), Ciaran Wilde (alto/clarinet), Dan Bodwell (bass) and Shane O`Donovan (drums). Redmond O’Toole is recognised as one of the most distinctive and original guitarists of his generation. He was the first to adopt Paul Galbraith’s ‘Brahms guitar’. This groundbreaking instrument and technique uses an 8-string guitar in the position of a cello. He has performed at major concert halls and events throughout Europe such as Passau International Guitar Festival, Germany, Irish National Concert Hall, Royal Dublin Society Concert Hall and Hallein Guitar Festival, Austria. He has performed as soloist with orchestras such as BBC Ulster and the Irish Baroque and has toured extensively as guitarist for legendary Irish group ‘The Chieftains’. He is a member the internationally acclaimed Dublin Guitar Quartet. Recent projects include collaborations with world renowned cellist, Raphael Wallfisch, the Vanbrugh String Quartet.and Soprano Kim Sheehan. 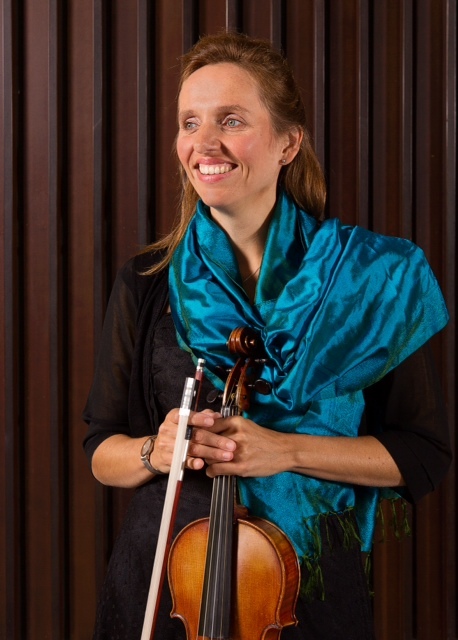 Redmond has had a duo for many years with violiinist Elizabeth Cooney. He has also performed with many different and varying ensembles such as Crash Ensemble, The Callino Quartet and the UFO Orchestra amongst others. In 2012 Redmond set up Music Generation Wicklow: part of a national music education programme funded by U2 and the Ireland Funds. O’Toole was coordinator for the initial 18 months of the programme. John Walsh is Ireland’s leading Flamenco Guitarist. An accomplished musician and composer, John has been performing solo since 2006. Along with performing concerts throughout Ireland and venues in Spain and the UK, he has performed in one of the most historically important flamenco venue’s ,’El Candela’ in Madrid, as well as being the invited International Artist for the 2014 Flamenco Festival Flamenco de Consuegra. He has composed music for and performed with the National Ballet of Ireland & Michael Rooney’s De Cuellar Orchestra among others and performed for the Irish President Michael D Higgins. He has performed onstage with many acclaimed artists including Salvador Andrades, Jose Manuel Leon, Maria Delgado, Alicia Carrasco, Karen Lugo, Luis de Luis, Antonio Sanchez, Juan Ignacio Gonzalez, Gines Pozas, Jaime Salazar Losada, Jaime Nadal Perez, Jose Torres, David Avila, Olayo Jimenez, Lucas Gonzalez, Mercedes Garcia Lopez, Pepe de Algeciras. Most recently John was featured on the Madrid-based Flamenco radio show Tribu de Miguelon. Irish mezzo-soprano Rachel Kelly has already attracted considerable attention as a member of the Jette Parker Young Artist Programme at the Royal Opera House Covent Garden. Last season she earned unanimous praise for her portrayal of the Cat in El gato con botas (Puss in Boots) at the Linbury Theatre, with The Telegraph describing her performance as “a special delight”. Rachel also made a noted debut on the Royal Opera House main stage as Mercédès (Carmen) followed by performances as Second Esquire (Parsifal) and Javotte (Manon). She also appeared as Mirinda in Kasper Holten’s production of L’Ormindo conducted by Christian Curnyn, which marked the first ever collaboration between the Royal Opera House and Shakespeare’s Globe. Rachel’s current season highlights with the Royal Opera House include Pisana (I due Foscari), Proserpina (Orfeo, at the Roundhouse, Camden), Mirinda (L'Ormindo), Zaida (Il turco in Italia) and Flora Bervoix (La traviata) as well as the preparation and understudy of Rosina (Il barbiere di Siviglia) under Sir Mark Elder. Caroline Dowdle was born in South Africa and studied music at the University of Cape Town, where she was taught by the eminent chamber musician Lamar Crowson. There she qualified with a Masters in Music before moving to England to study at the Royal Northern College of Music as a solo pianist, under Renna Kellaway. She was awarded a fellowship in accompaniment at the college, a post which she held for 2 years, before moving to London to begin her career as a freelance pianist. For many years she was a staff pianist at the Britten Pears School in Aldeburgh, where she worked alongside many of the most eminent singers and instrumentalists of their generation. Since then she has performed widely in Britain and in Europe, giving recitals with singers and instrumentalists at the South Bank and Wigmore Hall, London, in Paris for Radio France, in Vienna and in Moscow. Since the summer of 2008 she has led the Opera Academy at the Verbier International Music Festival. She has also performed in the Festival itself. Recently she has appeared in numerous recitals with the esteemed baritone, Sir Thomas Allen. She has worked for Opera de Rouen in 2009 and 2011 as “chef de chant” and pianist in performances of Britten’s The Turn of the Screw and Albert Herring. She works regularly as a coach with the singers on the Jette Parker Young Artists Programme at the Royal Opera House, Covent Garden, and with the Samling. She is the Musical Director of the Samling Academy for young singers in the North-east of England, and of the Academy of French Song and Opera, a course run in France each summer.